We look forward to meeting people who will raise the dogs we have nursed, not just people who want to buy a pet. We offer healthy puppies with great personalities to people throughout the country. We are breeders of Show Dogs. 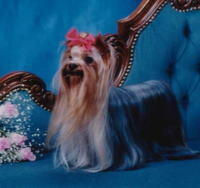 Show Dogs are born only of healthy parents with good character, their bright personality and intelligence are inherent. 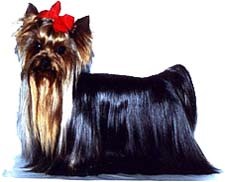 They are also, of course, beautiful to look at, but, as the birth of a complete Show Dog is an infrequent occurrence, we offer those that do not quite make the grade to people who we believe will be careful and responsible owners. Although a little adventure and a lot of research is needed in order to raise a complete Show Dog. If one such dog is born, we consider this a success. 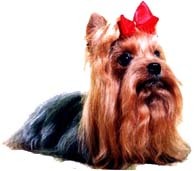 We offer as pets all the dogs that do not quite make the grade, even so, with their fine pedigree, they are all healthy and have great personalities.